The construction industry has made its way down south in Cagayan de Oro City. The city of friendship has been one of the most outstanding sites for construction of future landmarks in the country such as commercial buildings albeit residential ones. When talking about the construction industry and the companies that it caters, choosing the right construction management for CDO realty is crucial. Here are some tips on how to choose the right construction company. In the metro, there are a lot of construction company to choose from but what separates the good one from the best? It’s the reputation a company makes through the quality of service they make. Make sure that you know what type of work they have done in the past. You can check the area yourself and see what the people have to say. Ask yourself how do they manage changes in the plan. A construction firm must be flexible enough to manage any type of changes as well as alert you of the changes made to the plan. With regards to planning, a firm must be able to manage the process as smoothly as possible. Dissemination of information must also be done in a quick manner. Confirm licensing. Of course, no client would want to work on a construction firm that does not have the legal basis to conduct any business. Your construction management company should be licensed under the jurisdiction that requires it hence you should demand for any license. Safety is also a must for construction companies. If safety is one of their key goals and they have a track record of providing safety to both the company and the contractors as well as the client that work on the project, then they are a good company to work with. Good thing all of these are found in HomeChoice Planners and Construction Corporation. Last February 14, the City Planning Development Office in collaboration with the Subdivision and Housing Development Association or SHDA, Inc. conducted a whole day seminar at Deluxe Hotel. The seminar was refresher training on Housing and Land Use Regulatory Board (HLURB) devolved functions in the processing and approval of subdivision application. 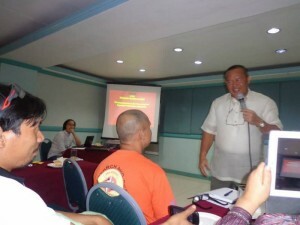 The said meeting was attended by different property developers and contractors of Cagayan de Oro City. People in the real estate business and representatives of different organizations were present also. Different offices and organizations of the government joined in the seminar. Each of the government offices and organizations had its own representative. To name a few, Architect Erlinda Nuval of the Office of the Building Official and Mr. Apolinar Banaag of the Department of Agrarian Reform were representatives from their respective offices. 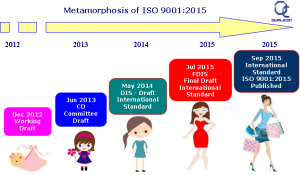 Various topics has been discussed in the event such as titling of the subdivision lots and processing period, conversion requirements and processing period, subdivision guidelines and a lot more interesting topics. 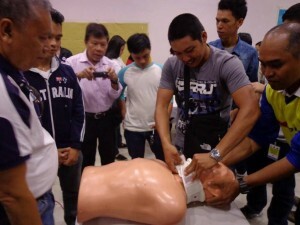 During the seminar, we were graced by the presence of our City Honorable Mayor Oscar Moreno and Vice Mayor Ian Acenas. It is said that for the first time, both the mayor and vice mayor were together in an event. It is such a privilege for us to have been able to see them together in one place. The mayor and vice mayor had the opportunity also to express their plans and desires for the city’s prosperity. It was a great pleasure for us to have been able to attend the seminar. Questions have been answered during the open forum and clarifications have been made also. We, the attendees have learned a lot from the refresher training. Cheers to the organizers of the event. 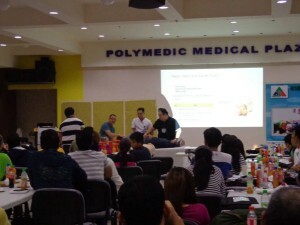 Looking forward for more seminars like this. When does a plant begin to bear fruit? Study of the plant life reveals that fruit-bearing is the inevitable result when a plant is well-nourished. Fruition happens when each part of a plant is as full as the others, and an overflow of vitamins and minerals has nowhere to go but express as a fruit. 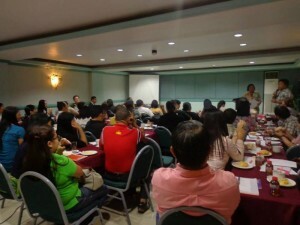 Homechoice Planners, an active player in real estate development in Cagayan de Oro, values human resource development. We believe that good workmanship which spells good delivery of our construction projects can only be expected when our people are well- taken cared of. Taking care includes skills upgrading, updated facilities, functional systems flow, personnel support mechanisms, and character development. Some setbacks may be experienced at times but only to refocus on what is most important to be able to realize the company goal – a comfortable home our clients can showcase and our workers can be proud of. 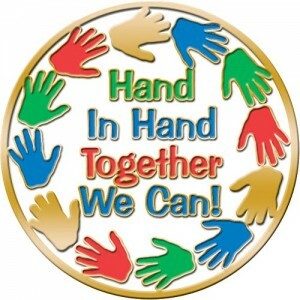 Productivity is built and nourished on camaraderie, accountability, and mutual trust among the administration, the human resource and the clients. We are grateful to our clients or would-be clients: we are in business because you trust us in helping you realize your dream of home- the main plant of our partnership . But the story does not stop there…As offshoot to the delivery of your well-built houses, TOGETHER WE ARE PROVIDING JOBS to construction workers and MAKING IMPACT to the community by their EMPOWERED FAMILIES. What fruits could be better than these? · Sketch your dream – before consulting an architect, you can begin by drawing or sketching out your ideas; imagining your dream home. In this way, the architect can easily make perspective and floor plans out of your sketches. · Check for referrals and reviews – the best contractor is often busy not by advertising but by finding work through “word of mouth” referrals and repeat customers. So, collect referrals and recommendations from friends, co-workers, neighbors and material suppliers. · Choose contractors that are licensed and insured – research their background before hiring them. It is important that you check if your contractor is licensed and properly insured because it ensures that they are qualified to do the work. Their insurance should cover damage to your house or if a worker gets injured on the job. Keep in mind that just because they’re licensed contractor, doesn’t mean they’re insured. It’s up to you to do the diligence and make sure they are insured. · Select contractors that have their own office – contractors owning an office would mean that they are an established construction company; it is more convenient and easier for you to visit their office for your concerns and needs. It would also mean that they wouldn’t run away from you and your transactions. · Interview your contractor – don’t be afraid to ask questions from your contractor. For example, you can ask about how long they have been in the business or have they done projects that are similar to yours, etc. Building your home is an investment of time and money; and you want to make sure that you’re hiring someone who is up for the requirements of the job. · Ensure a contract – it is vital to have a contract with your general contractor. Things like the start date and expected completion date of construction, as well as the exact work inclusions and costs should be included in the contract. Both parties should sign the contract and have a copy. · Make sure it offers the right price – look for the right builder that fits to your price range and find someone whose work you like and you can trust. Be open and ask about what they charge so that you’ll know if you can afford to pay them. At the beginning of the job, be very clear of the costings and ask whether you need to be prepared for any unexpected costs. And also keep in mind not to hire contractors that are solely based on lowest price. · Look for a reliable contractor with good track record – prior to hiring a contractor, you have to make sure that your contractor is reliable. See to it that they have a good track record which shows that their previous projects were successful. It is a guarantee to you that they are a trustworthy company.